The reason I asked is because you are the boss or perhaps you’re a manager, but you, in theory, are in charge of something. 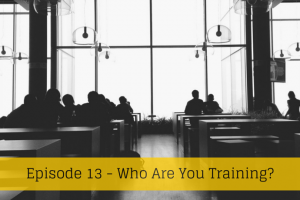 You probably are in charge of people, or have employees, or a team, or something like that. You have great knowledge and the fact that you’re listening to this is means that you are learning, you’re continuously learning. However, you have people to help you do tasks, because we can’t do it all alone and we need to delegate and have people do things for us. Then what do they know? What do they know that you know? Or are you assuming that they know what you know because trust me, a lot of people do. I learned that the hard way a long time ago. So how about training them? How about dedicating time to training them? Now there’s good results come from things like this. What I suggest is every week, possibly everyday, then block out some time, a fixed time, say half an hour, hour, depends on what and how much you’ve got to tell them. And one on one, with someone that you need to learn what you know, what you’ve got in here. 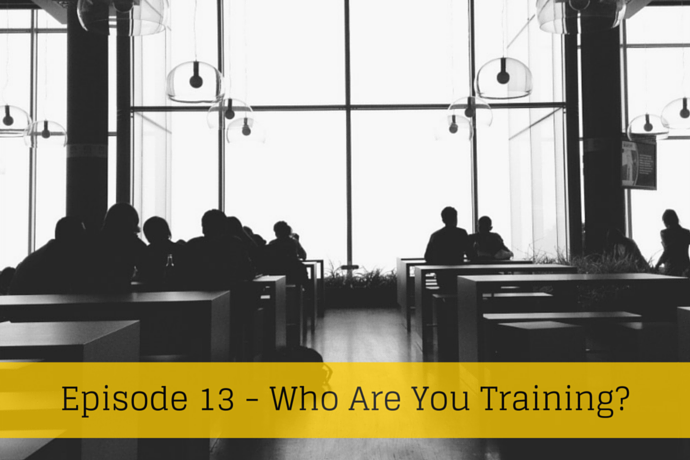 By training them, you can get out the knowledge that you have. That will enable you to learn more and to learn more – develop more projects and get more done by enabling that person. By giving them the skills that you have, they can possibly do the job as well as you want them to do it. They may surprise you, and as a matter of fact, in the numerous times I’ve trained people, they’ve actually gone on to do the job much better than me. Aha! Generally, as bosses, we think we know it all and no one else can do it quite as well as we do but generally, the fact is that no one else was spending the amount of time we spend doing it. But, given the skills, they can do it least as well. Take someone like Richard Branson. I think he would freely admit that one of his strengths is to hire great people to do the jobs, people that are better than him and that all he needs to do is replace himself with someone who’s better. But the only way is to give them the proper training and quite often that comes from you. That time is time well spent and I recommend you do it. If you’re wondering about me, when I’m at Fire Protection Online, every single day, I spend an hour each with two people and then twice a week, I spend an hour with another person. And I have time blocked out for some management training. And I don’t know how to train! This is just open discussion explaining, getting everything that’s in my head out into the universe. It works wonders. Anyway, being a Wednesday is time for a friendly follow and now I’m going to give you a strange one because this is David Cant. His twitter handle is @DavidGCant. He also has another one, his business one called @SafetyMatters for his company, Veritas Consulting. 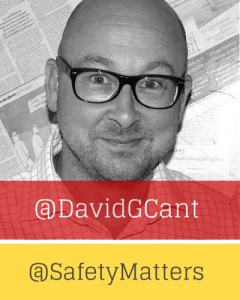 David is a health and safety expert and you’ll think, Huh? But David surprises us because he shows us how it can be done. He has what I would describe as a pretty boring subject. I mean I can’t think of the last dinner party I went to where someone discussed health and safety matters in a nice way. But David makes it active. He’s got a lot of followers. He’s very active on social media and he’s very active on many social media. So I suggest that you go and look at his streams, look at what he’s doing, monitor it and be trained by him in a sort of a strange way but do what David does. Apply it to your business even though you might be thinking “uhh I can’t do that. I can’t do twitter”. Inspiration, that’s what these friendly fellows are. To give you ones to inspire so go and look again. Today’s show, as with the others, is sponsored by the wonderful people from Copyblogger and their Rainmaker platform, New Rainmaker. It looks after websites so it has everything you need to know and creates websites for you. Fabulous value. This website runs on Rainmaker. I suggest you go and have a look. Thank you for listening. I’ll see you soon.